June saw Sarsen Technology introduce new technologies and attend industry events. BittWare’s A10 board family leverages the Arria 10 FPGA’s exciting capabilities to build solid platforms in a variety of formats that support a wide range of challenging applications. Built on 20nm process technology, Arria 10 FPGAs and SoCs from Altera boast higher densities, higher performance, and a more power-efficient FPGA fabric than previous generations. The new A10 board family from BittWare features flexible memory configurations, sophisticated clocking and timing options, QSFP28 cages that support 100Gbps (including 100GigE) optical transceivers, FPGA Mezzanine Card (FMC), and support for the network-enabled Altera® SDK for OpenCL™. 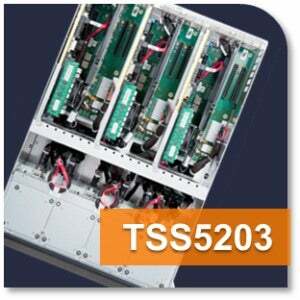 The TSS5203 Rackmount Storage Server features three SHB/Backplane segments that support an array of 48 front access storage drives plus four internal drives that support a storage capacity which can exceed 100TB. The modular segments may operate independently providing a distributed system architecture that simplifies application scaling in a rugged 5U rackmount enclosure. DAVE invited their partners to their headquarters in Porcia to take part in the very first ‘Daving’ event – a three day training session designed to share information, news and future plans for DAVE and their partners. High-performance, extremely rugged VPX & CompactPCI power supplies from X-ES enable integrators to reduce the SWaP, cost, and complexity from their system. These supplies have been designed and tested to a number of military standards, including MIL-STD-704, MIL-STD-1275, MIL-STD-461 and MIL-STD-810.